Nike makes stellar golf gear for all ages, including kids! Nike’s collection of practical yet attractive golf clothing lets you outfit your kids in style when you’re playing 18 holes as a family. Get your kids into the game with Nike junior golf equipment from Carl’s Golfland. One of the main selling points for Nike gear in general is the way it looks. Nike apparel and footwear have always looked cool, so much so that athletic gear like Air Jordans and Tempo Track Shorts have become fashion icons that are worn during causal and athletic pursuits alike. Nike junior golf gear follows in the same mold, utilizing interesting patterns and tailored fits to produce apparel and footwear that simply looks great. From a practical perspective, this means that Nike junior golf gear can pull double duty, especially when considering Nike’s collared shirts and spikeless golf shoes. Your kids can just as easily wear Nike junior golf apparel while going to school, eating at a nice restaurant, or attending church as they can while on the golf course. And since it’s Nike, they won’t complain about not looking cool either. Just because Nike gear looks great doesn’t mean it can’t perform. Nike is first and foremost an athletic gear manufacturer, and everything they create is optimized for athletic performance. Nike kids’ golf gear takes advantage of Nike’s proprietary Dri-Fit fabric technology to create apparel and footwear that is light and comfortable, giving your kids full range of motion during their swing and keeping them cool during stressful moments. If your kids are competitive or beginning to take part in youth golf leagues, you can give them the winning edge with Nike. 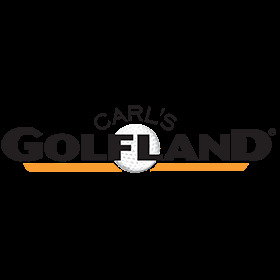 Carl’s Golfland carries a wide array of Nike kids’ golf products to gear up your kids for success. We carry products for both boys and girls, in multiple different sizes, colors, and designs. Happy shopping! How do I know which Nike product is right for me? It can be hard to find the perfect piece of gear. If you need help finding apparel or footwear that’s best for your child, give one of our Nike Golf experts a call at 877-412-2757 today. Nike Golf gear is used by some of the best players on the PGA Tour. Join the likes of Jason Day and Rory McIlroy by adding Nike to your wardrobe.